Cody Poulsen, is a soon to be graduate student with CW3E at Scripps Institution of Oceanography, UC San Diego. During his undergraduate career at UCSD he collaborated on a research project with ex-CW3E post-doc Scott Sellars. The project began during the summer of 2016 and was focused on using a program created by the Monterey Bay Aquarium Research Institute (MBARI) named Video Annotation Reference Systems (VARS) to produce useable meteorological metadata. VARS was created by MBARI to aid researchers in cataloguing the occurrences of biological species and geological formations in the large amounts of underwater footage collected by their ROVs. The research continued as part of Cody’s senior thesis during which he created an Atmospheric River metadata set with VARS. During the process, he learned more about the system and its capabilities. The metadata set is comprised of annotations for the location of AR landfall and center of AR events during the Water Years (WYs) 2001 and 2011. In addition, annotations for ARs with an associated Lower Level Jet (LLJ) structure where produced for both WYs. In the case study of WYs 2001 and 2011, the metadata depicted an anomalously high amount of landfalling AR events in California/Oregon for December 2010 juxtaposed to zero landfalling events along the North American West Coast excluding Alaska for December 2000. 500-hPa average wind speeds, heights, & direction plots for the two months where created to discern the general first principal flow that might explain the different AR trajectories. With these plots, it was found that a high-pressure ridge at 180° and low pressure trough at 140°W funneled ARs onto the California/Oregon coast for December 2010. Where December 2000 had a slight high pressure ridge along the coast to produce an insignificant blocking action leading to the assumption that some other synoptic features must be at play to produce the zero-event period. 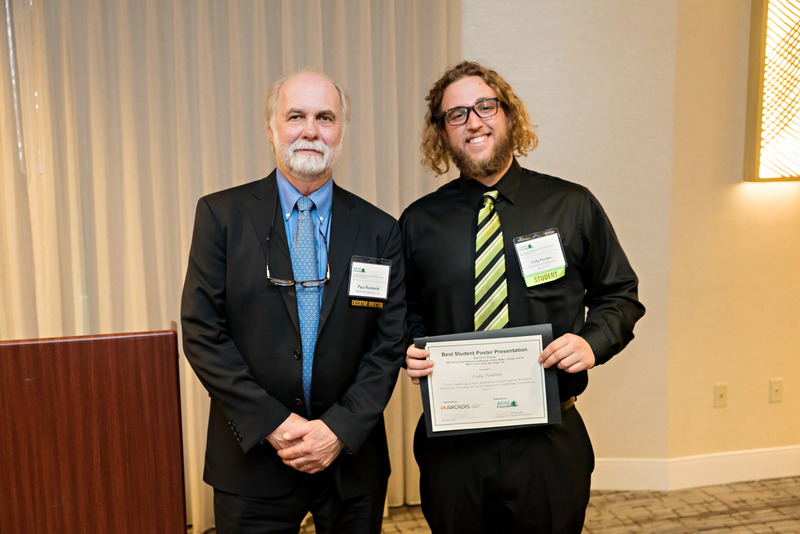 Cody produced a poster on the VARS research project and presented it at the Association for Environmental Health and Sciences Foundation (AEHS), 28th Annual International Conference on Soil, Water, Energy, & Air, held in San Diego, CA. His research was presented at the conference’s 14th Annual Student Competition and was selected by the competition committee to receive the second-place award. 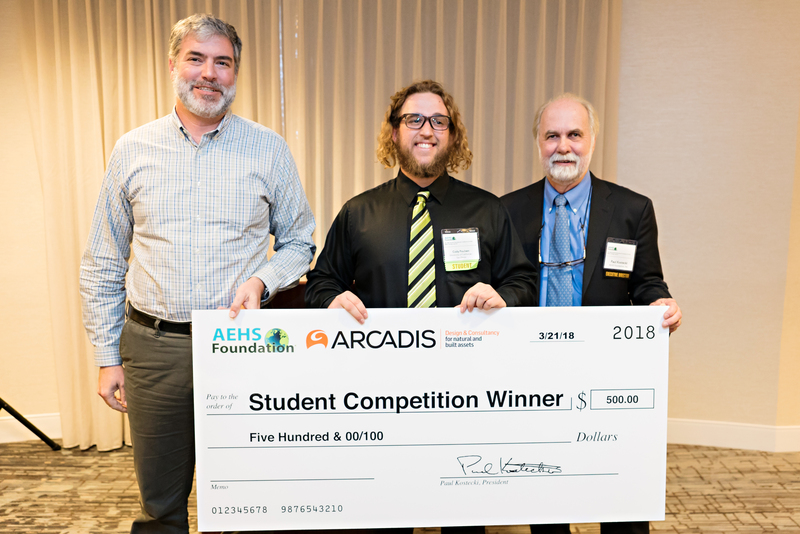 In addition, to receiving the award Cody was invited to the AEHS appreciation dinner where he met with several industry professionals and researchers to network and discuss the future of the environmental field. Overall, the conference was a great experience for Cody to gain more presentation experience. In addition, he received valuable feedback from a wide range of individuals in the environmental field all with diverse backgrounds. The VARS program is currently being used by Cody and CW3E post-doc Rachel Weihs to further study Atmospheric Rivers and their impacts on the western coast of the United States of America.